Looks like a De Soto. IDK - any info on driver's door jam or firewall? 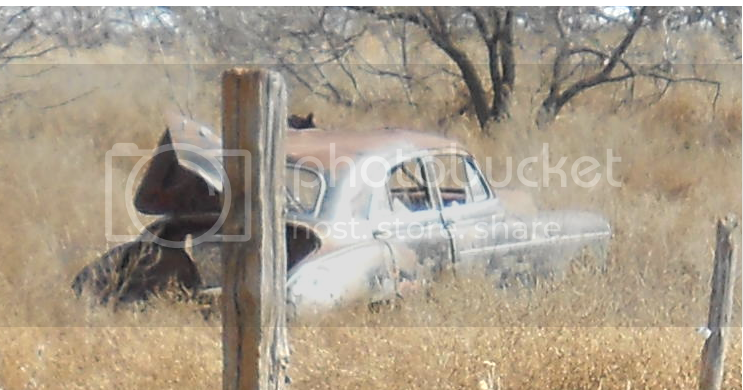 It has chevrolet on the nose of the car, and after digging online I believe its a 50 styleline 4 dr...but not positive...haven't been out to check any numbers on it yet...waiting for it to get a little colder so the rattlesnakes wont be active. waiting for it to get a little colder so the rattlesnakes wont be active. Sh!t, that's probably why the car is abandoned in the first place. The snakes can keep it. i think that's what it is...the pics I have seen online of the front end look like this one. Been working all the time, so haven't had a chance to get anymore pics. Look a lot like a 49 Olds, let me have another look. Too bad it's a Chevy, I loved the older Olds engines..